SPECIAL DEAL - Today you can buy these beautiful Bulbs for just £1, yes, just £1!!! 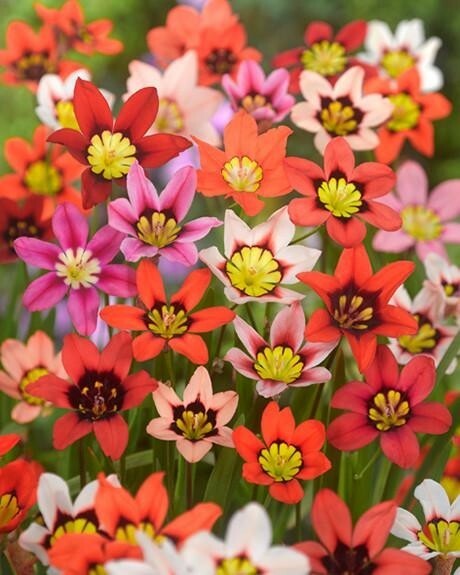 Sparaxis are bulbous perennials with spikes of exotic looking star shaped flowers in orange, red, white, yellow, pink and magenta and all with richly coloured markings. Also known as the Harlequin Flower because of its kaleidoscopic centres, the vibrant blooms appear above sword-shaped leaves in late Spring and early summer, sometimes right through to early Autumn. 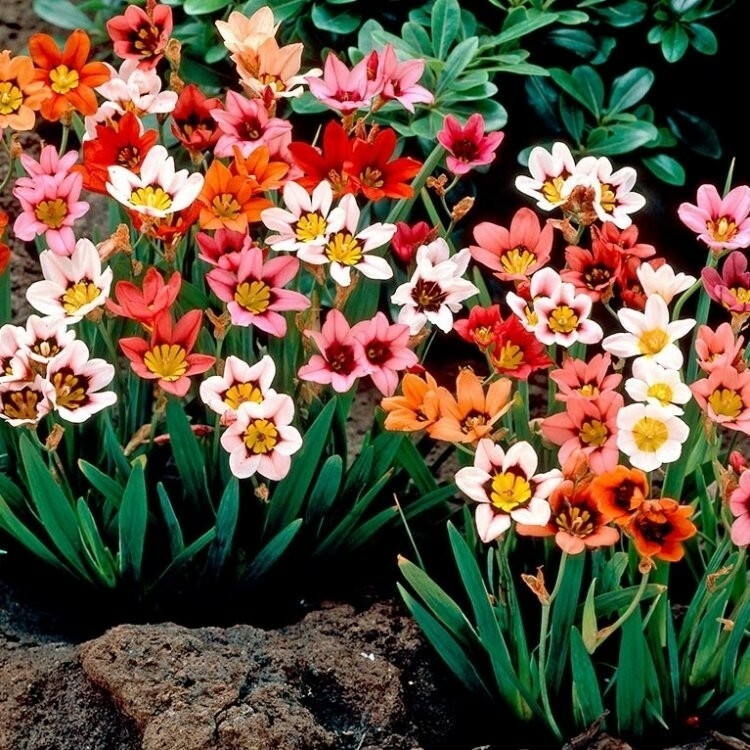 Sparaxis are the perfect bulbs for a colourful and long lasting pot in any prominent position or why not bring an amazing diversity of colour to your borders and rockeries? Plant this unusual bulb in groups for the most dramatic displays - they are dead easy to grow, reaching 30-40cms tall, and will flower again from one year to the next. Pack of 100 top quality bulbs supplied.